Matt began his surveying career in 1999 as an instrument operator for a surveying firm in Loveland, Colorado. In the summer of 2000 he packed up his skis and moved back East where he took a job with Doucet Survey, Inc. Matt obtained his NH Land Surveyors License in 2011 and his Maine Land Surveyors License in 2015. 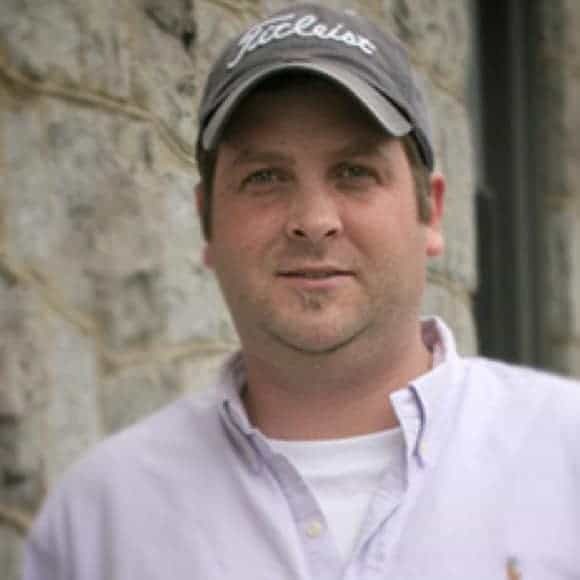 Matt directly manages all Maine projects out of Doucet Survey’s Kennebunk office location where he has been the Vice President and Director of Maine Operations since 2017. An average day can include anything from survey computations on a large topographic survey to right of way research on a road improvement project to a site meeting with an engineer to review the scope of an upcoming survey with a lot of client correspondence mixed in. Aside from Maine based projects, Matt has handled the bulk of Doucet Survey’s planning board and environmental applications over the past 10 years. Matt spearheaded Doucet Survey’s push into the world of GIS and still oversees Doucet Survey’s in-house GIS geodatabase as well as all GIS deliverables. Matt has been a member of Kennebunk’s Site Plan Review Board since 2012. He and his wife reside in Kennebunk with their two young boys Will and Spencer where he enjoys golfing, surfing and skiing in his free time.